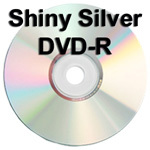 What is the difference between DVD and DVD-R? The R distinguishes the DVD as recordable by a laser DVD burner. The DVD-R media available today has many different varieties and purposes, and brand type is probably the most important thing to consider when you are shopping for blank DVD-R media. 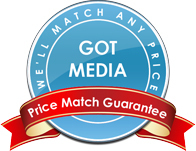 GotMedia.com, based in Orange County, CA has blank DVD-R media available with different top surfaces for printing with a thermal transfer printer, inkjet printer, labeling or just using a DVD pen. GotMedia offers blank DVD-R discs from Taiyo Yuden, Verbatim, MAM-A formerly Mitsui, Ridata as well as our house brand DVD-R. All of these brands have a variety of print surfaces to choose from. In short, we offer blank DVD-R media for any application you may have!